"Original plans detailing tunnel construction are not available; however, one profile drawing, dating to October 28, 1901, has been located, which shows a double track tunnel of cut stone and brick construction with no invert (flat floor). The lower courses are cut stone, the upper courses consist of five rings of brick measuring a total of twenty-two inches thick. 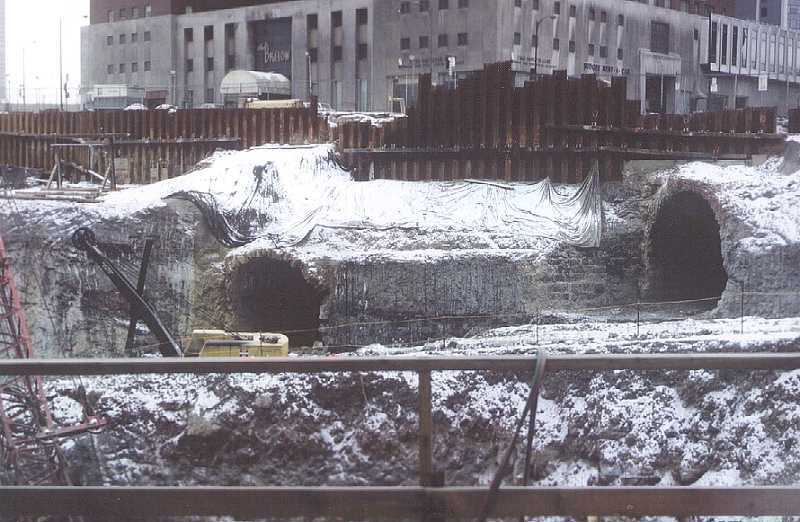 The walls beneath the spring line, the point where the curved arch meets the vertical wall, are shown to slope inward with a six to one batter, i.e., the inner face of the tunnel wall slopes inward one foot for every six vertical feet. The walls are shown to be supported by footers."